Do you live in the Midlands? 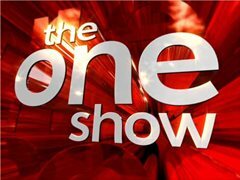 Are you 18 or over and would like to be featured on The One Show? Big Deal Films are casting couples, families and individuals who lead an exciting and interesting lives for the upcoming series, "In Bed With Britain" for The One Show (BBC1). Each film will be a snapshot into someone's life, and will make up a portrait of life in Britain today. If you can share your home truths, loving moments and everyday dramas with the nation, we would love to hear from you!